You will embark on a six hours Arabic gastronomy tour in the heart of Amman. Food, non-alcoholic drinks and a professional tour of Downtown and Jabal Amman are all included in the price. 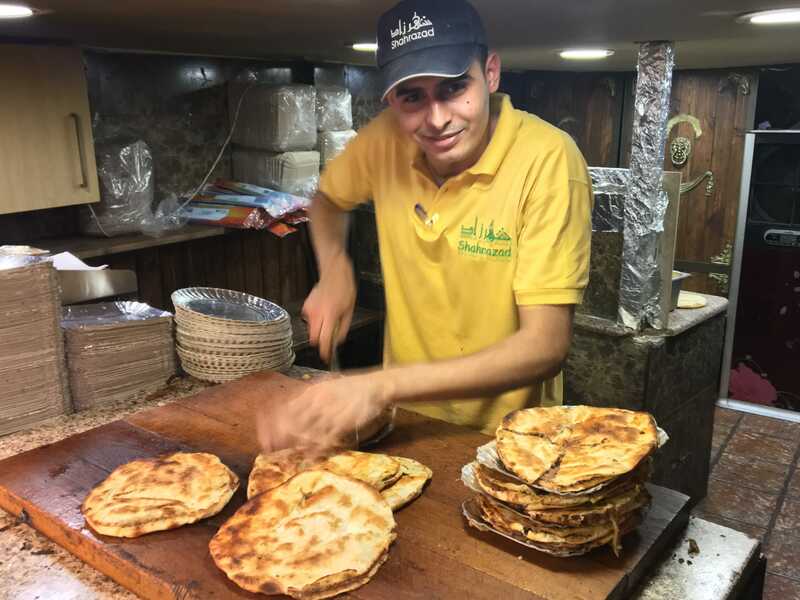 Once our local and passionate guide concludes our food tour, you will leave with a stomach full of delicious Jordanian food and some additional local knowledge. We begin our tour at 08:30am. A complimentary pick up from your hotel in Amman is included. Our 6 hours tour involves some walking, so be sure to bring comfortable footwear. Your guide will stay with you throughout the tour, and you can make requests about any special dietary requirements. You can email us about your food needs before tour start, or you can inform your guide on spot. You will experience our unique street food culture, and the way the locals go out to eat. You will also walk down historical streets and neighbourhoods. 6 hours guided food tour Amman. 4 stops for authentic tasting locations. Insight about Jordanian food and culture. A full belly of wonderful flavours and foods. Inform us about any diet or food allergies in advance.